Community Health Provider Alliance (CHPA) is a non-profit accountable care organization (ACO) formed around a statewide integrated network of federally-qualified Community Health Centers (CHCs) that offers comprehensive care coordination and primary care services to our patients. CHPA leverages the strength of our CHC’s integrated primary care model which centers the care around the patient by offering quality-based physical, behavioral, dental, specialty and ancillary care at our clinics. Our patients benefit by having affordable high-quality comprehensive care provided in their communities, in one location, centered around the patient’s full spectrum of health needs. Our mission is to provide cost-effective, high-quality integrated primary care and preventative services to Colorado’s low-income working families and individuals. Our members formed CHPA to achieve the Triple Aim and improve care transitions and best practices in our patient-centered medical home care model; and to develop alternative payment methodologies and payment reform which decrease overall healthcare costs and increase patient satisfaction. We believe that through these endeavors, our patients will have access to a high-quality integrated comprehensive primary care delivery system. 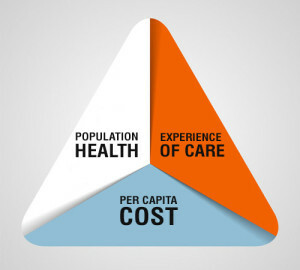 CHPA is focused on achieving the Triple Aim, developed by the Institute for Healthcare Improvements, to improve the health of the safety-net patient population, to enhance the patient experience of care (including quality, access and reliability) and to reduce or control the per capita cost of care. CHPA has several ongoing programs in the areas of patient-centered medical home, clinically integrating EHR data, and improving health outcomes, which demonstrable results. CHPA involves key clinical staff from our member organizations to monitor quality outcomes, adherence to evidence-based guidelines, and ongoing evaluation of our members. Ongoing feedback is provided to CHPA members to show how their performance matches up to the guidelines as well as to their community partners and peers. CHPA is a Colorado non-profit 501(c)(3) tax exempt organization. Membership in CHPA is open to tax-exempt organizations that are officially designated federally-qualified health centers (FQHC) in Colorado, and FQHC ‘look-alikes’ as defined by Section 1905 of the Social Security Act. While our membership is currently focused on Colorado-based community health centers, our expert staff have extensive experience developing ACOs and independent practice associations (IPAs). If you or your community health center or primary care association has an interest in an FQHC-led accountable care model, we may be able to help you. Please contact us here for more information. Adherence to clinical guidelines, as demonstrated by performance on nationally endorsed measures and defined performance targets. Our community health centers value high quality health care. Through CHPA, which is focused on improving care transitions and implementing best practices in medical home care coordination, developing alternative payment methodologies and payment reform, decreasing overall healthcare costs, and increasing patient satisfaction, our patients will have access to a high-quality integrated comprehensive primary care delivery system. By participating in CHPA, members have access to various payer contracts and payment models which provide incentives through value-based contracts. We work with all types of payers, including CMS, the State’s Medicaid office, Medicare Advantage plans, Managed Care Organizations, foundations and private entities, and commercial insurance payers. CHPA has extensive contract negotiation and contract management expertise in house. We negotiate primary care capitation, professional capitation, pay for performance and ACO incentive programs, per member per month (PMPM) performance based incentives, and shared savings contracts. Our staff is able to support your contracting questions and issues, and can advise you on various contracting topics. Marketplace Influence: Participating in a high-performing integrated network of comprehensive primary care brings significant interest from Federal, State and Private entities. Performance Improvement: Through shared data and analytics, our ACO uses comparative peer results to identify improvement opportunities and lessons learned. Our aim is to give our members meaningful and timely reporting to achieve the best possible results and improve the lives of our patients. We perform highly specialized analytics to identify best practices, improve outcomes and performance, and establish partnerships with cost-effective, high-quality mission-aligned specialists, hospital and ancillary providers. Contract Management and Advisement – assistance with understanding contracts, terminology, and other nuances specific to payer arrangements. Value-Based Contract Modeling – designing effective alternative payment models, capitation and value-based contracts (PMPMs, ACO/QI incentive programs, shared savings and risk-based models). If you are interested in any of these services, please contact Kerry Cogan by clicking here and completing the form.